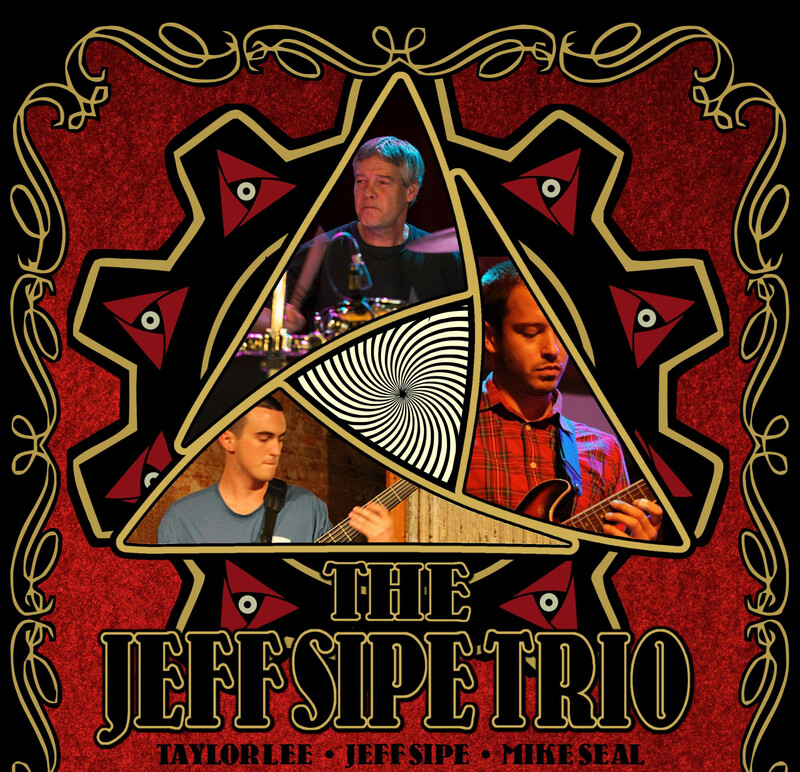 The Jeff Sipe Trio is excited to perform at the Isis Music Hall in Asheville, NC on Friday April 19, 2013. 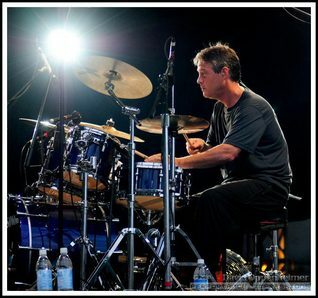 Jeff Sipe is one of the most prolific and creative drummers around and he has joined creative forces with Mike Seal on finger style guitar and Taylor Lee on bass to combine their own classic originals with unique covers to produce a highly energetic set of songs. The musical genres span the globe but with the thread of these three musicians’ adventurous styling. Jeff began to play drums in the sixth grade. Then In 1975, Jeff’s first stepping stone was attending the Shenandoah Conservatory of Music. — One of Jeff’s dreams finally came true when he was accepted to Berklee in 1977. While at Berklee, Jeff studied under Bob Kaufman and Bill Norine, he attended clinics given by Alan Dawson and was taken under by his mentor Lee Venters. Jeff was lucky enough to attend Berklee with an impressive cast of musicians like Branford Marsalis, Bill Frisell, Mike Stern and Jeff Watts, Kevin Eubanks, Dean Parks, Steve Vai, just to name a few. While studying at Berklee, Jeff met and played in a band with Steve Vai and Baron Brown called “Winter”. This experience turned Jeff on to a wide world of music and rhythm which gave him valuable tools that he still carries with him today. After his stay in Boston, Jeff moved to Atlanta in 1983. There he began gigging and teaching at the Atlanta Institute for Music and at a popular hangout for Atlanta drummers, Atlanta Drums and Percussion. Jeff spent time sitting in with local musicians and was introduced to Bruce Hampton through Dan Wall, a keyboardist that he had been playing with…..and that’s the rest of the story. It seemed too fitting that their first meeting took place at a wedding because not only was there a marriage there was a wedding of vast musical intention. Jeff then asked Oteil Burbridge and Jimmy Herring to sit in on this free willed musical band wagon and the Aquarium Rescue Unit was born. In 1996, Jeff met up with Swedish-born bass extraordinaire Jonas Hellborg and the Memphis guitar monster Shawn Lane. This Trio did many European tours as well as American tours. Jonas released 4 recordings of this band including “Temporal Analogues of Paradise,” a classic. Jeff’s interest in bluegrass music led him to 3 years with Leftover Salmon where he gigged almost non stop! The recording “Nashville Sessions” was a highlight of that period having an opportunity to work with Randy and Earl Scruggs, Bela Fleck, Waylon Jennings, Lucinda Williams, Taj Mahal, & Jerry Douglas among others. Jeff took on his own creation known as the Zambiland Orchestra. This experimental big band featured Ricky Keller conducting members of Phish, Widespread Panic, Michael Ray and the Cosmic Crew, the Derek Trucks Band, the Fiji Mariners, MOE, Little Feat, Sam Bush, John Cowan, Warren Haynes, Stanton Moore, the Atlanta All-Stars, Little John, Sonny Emory Randy Honea, and many others. The Zambiland Orchestra performed as a charity event for six years in a row every December just before Christmas at the Variety Playhouse as a benefit for Hospice and the food bank. By the 4th year into it there where 83 players on stage being conducted by the great spirit Ricky Keller and Jeff. One invited guest was Matt Butler who was so inspired by this spirited event that he began his own version called the “Everyone Orchestra”. Even more recently Jeff teamed up with longtime friend and guitar maniac Jimmy Herring on a project known as Z, that’s Project Z to most. Together with fellow Atlantian producer/musician Ricky Keller and mega organ/keyboardist Oliver Wells, Project Z recorded a self titled debut album filled with juicy fusionisk tunes that gathered praise from all realms. Since then a second Project Z has been released as well as Jeff’s solo release “Timeless” featuring Paul Hanson, Derek Jones, Jason Crosby, Kofi Burbridge, Count ‘M Butu and Derek Trucks.